OPAL is a registered company dedicated to improving the quality of children’s play opportunities, especially in primary schools. Since implementing OPAL throughout 2017-18, it has revolutionised our play here at Denbigh. The children are now being challenged both mentally and physically and the play is becoming increasingly more exciting and creative every day. The children have the opportunity to build dens and vehicles in the den building area. They have been making mud pies and other exquisite dishes in the mud kitchens. Children are able to dress up and role play their favourite scenarios along with reading quietly on beanbags in our fairytale cove or head over to the secret garden. We have sandpits available for the children to relax and occasionally disappear when they are buried by their friends. 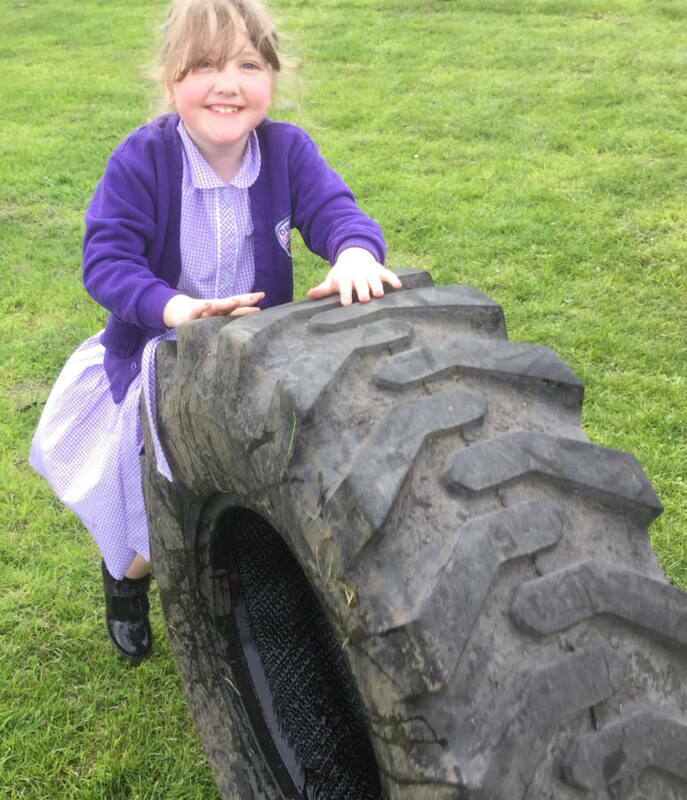 Tyres and other assault courses are used by the children to test their strength and agility whilst our relaxing parasols and deck chairs are a chance for a breather after all of the fun. For the more musical children they can create their own compositions using pots and pans on our musical wall. The children love the new opportunities that have been made available through OPAL play and can’t wait for the new and upcoming Denbighlandia to be unveiled! Click here to view the Charter for Children’s play adopted by our School.